A man has been arrested on suspicion of attempted murder following a crash involving a car and a pedestrian. 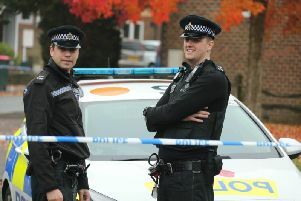 Police said a man was seriously injured after a black Nissan reportedly mounted a pavement in Medway Road, Gossops Green, Crawley, and collided with him. The 25-year-old was rushed to hospital and later transferred to a further hospital in London where, officers say, he remains in serious but stable condition. The crash took place at about 6.30pm on Saturday (July 7) and the vehicle made off from the scene. Police said a 23-year-old man, from Crawley, was arrested on suspicion of attempted murder. He has been released on bail until August 6 pending further enquiries. Detective Constable Karen Young said: “This was a very traumatic incident for the victim, who has been left with serious injuries and remains in hospital at this time. Anyone with any information is asked to report it online or call 101, quoting Operation Hernhill.